JAPANESE ARCHED BRIDGE: A reconstruction of an arched bridge at the Japanese garden at Cowden Castle near Dollar. 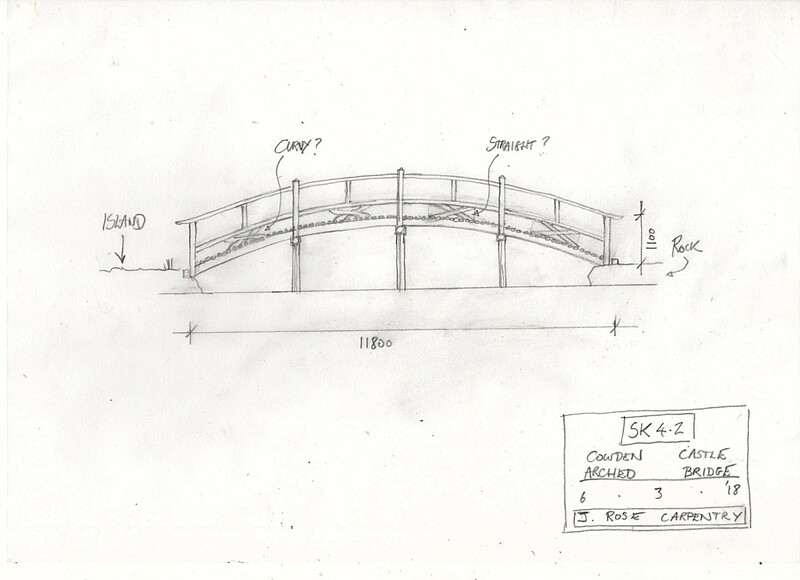 This bridge is constructed in a Japanese style, but with a mixture of traditional Japanese and British/European carpentry elements. Due to lack of funding the handrails have been omitted for the present, but we have retained the necessary information to allow us to manufacture and add them to the bridge at a later date. 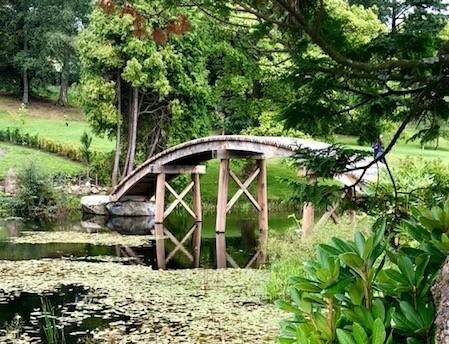 In the mean time the public will not be allowed to cross the bridge for safety reasons which is a pity as it is a fundamental part of the experience of visiting the garden. The design decisions were informed by historical precedent (photographs), traditional Japanese practice, materials durability issues and the requirements of the present day garden. We raised the bridge by hand. All the european larch used in the decking was sourced from within the Cowden estate, not a quarter of a mile away in fact, and milled on site by Keith Threadgall. The architect was Matthew Pease with additional input from Professor Masao Fukuhara the garden designer for the Cowden project. The timber was from Scottish Wood (oak), Cowden estate (larch) and Gilmour and Aitken (greenheart).